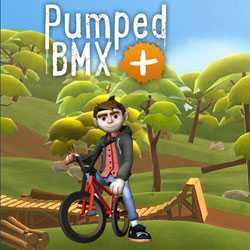 Pumped BMX is an Arcade and Sports game for PC published by Curve Digital in 2015. The boy needs your skills to be in BMX competitions. The player will the control of a boy who bikes very well. At first, You need to finish the tutorial to get some skills. This tutorial part helps you turn into a normal biker from the amateur one.